FTTX Enclosure is a new economic fiber distributed solution for outdoor use. Compare traditional products, FTTX Enclosure is easy to operate and has high compatibility. It can be used for wall-mounting, aerial installation or holding pole installation, based on different situation.FTTX Enclosure not only used in FTTH field, but also used in FTTA or other harsh environment. 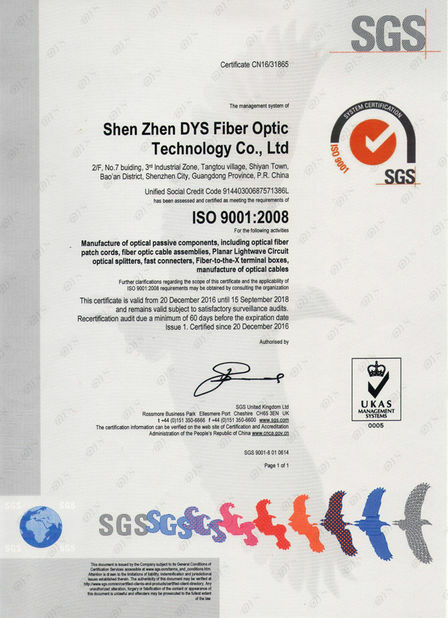 Traditional solution use ONU or FDH (Optical Network Unit/Fiber Distribution Hub), when trunk optical cable arrives to outside of mansions and villas. FTTX Enclosure can replace ONU or FDH because it has fiber distribution function. Inside, it can be fixed 2-4pcs 1*8 or 1*16 PLC, and can be put 24pcs fiber splice protection sleeves. After mating with 1-48F IP67 preassembled waterproof connector, FTTX Enclosure can connect each mansion and villa or low voltage silo directly. It can be fixed outside of mansions and villas, or holding pole installation. FTTX Enclosure can reduce signal loss through less connecting node. 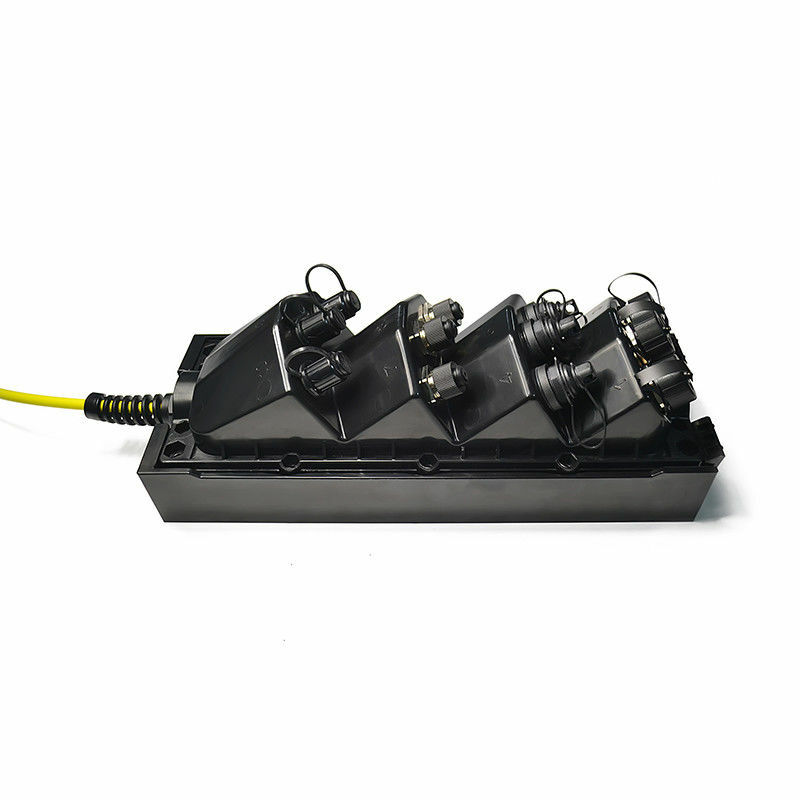 For in factory preassembled FTTX Enclosure, it’s no need high skill operator because of no fiber splice operation. Installation efficiency can be increased by 40%. Traditionally, Remote Radio Unit (RRU) and Building Base band Unit (BBU) connected by optical fiber cable, forme star network technology. Each RRU need one duplex outdoor cable link to BBU. Installation will need more time and cost will be high.FTTX Enclosure work as an Aggregation/Demark box, link RRU and BBU together. 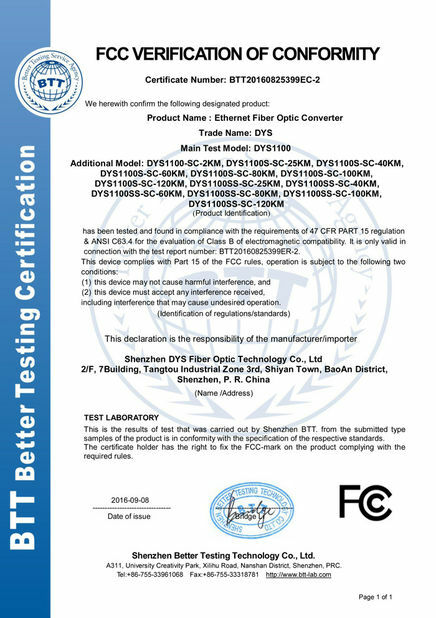 From BBU to FTTX Enclosure, only need one multi-fiber hybrid cable. 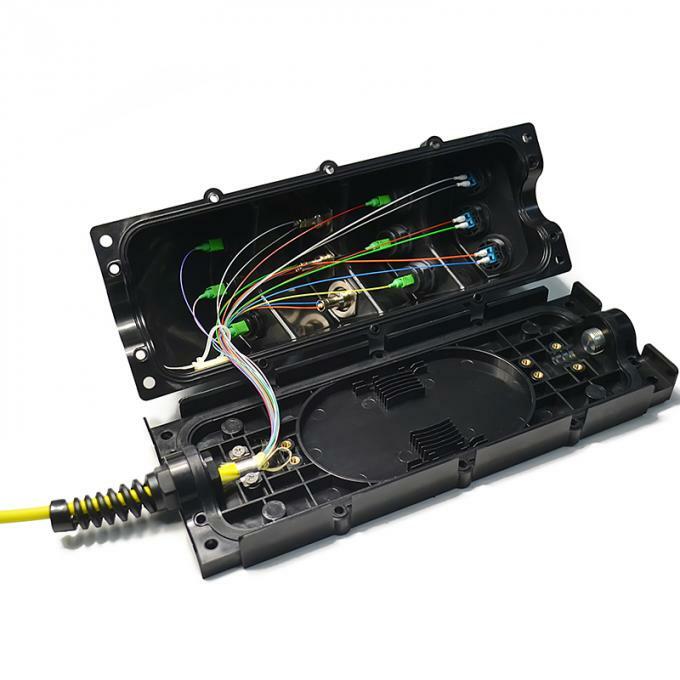 Then FTTX Enclosure divide fibers to each RRU through IP67 preassembled waterproof cable assemblies. RRU can get power through assembled power connector on FTTX Enclosure.It can avoid needless duplication. Trunk cable needs to be fusion welded frequently because of each drum cable length limited. So connecting point is weak and need to be protected very well. When trunk cable comes into FTTX Enclosure, it will be sealed and fixed by torsion proof cable gland (plastic or metal type). For 5mm-14mm out diameter cable,FTTX Enclosure has different accessories to fit. Torsion gland can release stress when trunk cable bending and protect fiber avoid breaking. Inside of the FTTX Enclosure, main cable and strength member were fixed by fastener, which make sure the box can stand 1200N pulling force long term. Splice protection sleeve (Max. 24pcs) and PLC (Max.2pcs) can be fixed on the body, which make FTTX Enclosure fiber divided very easy. Anti-skid design on the base case, which makes sure FTTX Enclosure holds wire/pole firmly. *High compatibility: can be assembled ODVA, Hconn, Mini SC, PTLC, PTMPO or power adapter. *Strong enough: working under 1200N pulling force long term. *From 2 to 12 ports for single or multifiber harsh connectors. *Available with PLC or splice sleeve for fiber divide . *Wall-mounting, aerial installation or holding pole installation. * Decreased angle surface and height make sure no connector interfering when operating. *Cost effective: save 40% operating time.